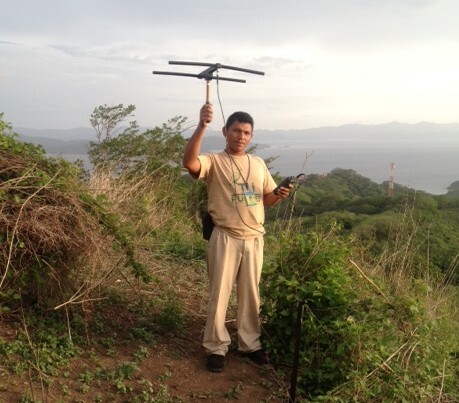 Cristian Bonilla is a local para-biologist who has supported Paso Pacifico’s wildlife research for over six years. Although Cristian has helped us study everything from bats to lizards, in recent years he has become a specialist for Amazon parrot conservation. Cristian is a skilled tree-climber and hiker and is very good at monitoring nests and following parrots using radio telemetry. Cristian is admired and respected across the rural communities for his kindness and integrity. It is common to see community members turn to him for counsel and support. Given Cristian’s leadership role in the community, when people see his dedication to parrot conservation they follow his example and help to protect nests from poachers. We are grateful to have Christian as part of our team and an ambassador for parrot conservation.